During an operational expansion, a metal tube fabricator needed a reliable conveyor solution within its metal manufacturing operation. The tube had to be transported and centered for cutting it to various lengths. The tube was in the final stages of processing, so a heavy duty coated surface was needed to protect the finished goods. A lift gate was installed to allow operators, fork trucks, and carts to pass through the processing area. To fulfill this need, Cisco-Eagle and Omni MetalCraft designed a chain-driven live roller conveyor with concave-shaped "bowtie" rollers. 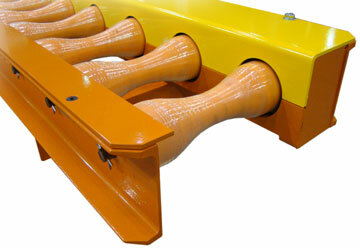 These rollers were coated with heavy-duty urethane to protect the load. 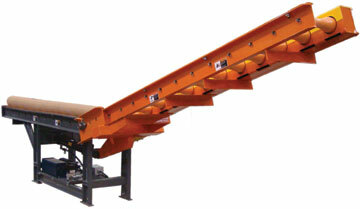 The coated rollers center the finished tube product accurately for the saw cut-off operation. The lift gate is hydraulically actuated to avoid a manual lifting interface.